Joel C. Rosenberg is the New York Times bestselling author of ten novels—The Last Jihad, The Last Days, The Ezekiel Option, The Copper Scroll, Dead Heat, The Twelfth Imam, The Tehran Initiative, Damascus Countdown, The Auschwitz Escape, and The Third Target—and five nonfiction books: Epicenter, Inside the Revolution, Implosion, Israel at War, and The Invested Life, with more than 3 million copies sold. The Ezekiel Option received the Christian Book Award as the "Best Novel of 2006" from the Evangelical Christian Publishers Association. Joel is the producer of two documentary films based on his nonfiction books. He is also the founder of The Joshua Fund, a nonprofit educational and charitable organization to mobilize Christians to "bless Israel and her neighbors in the name of Jesus" with food, clothing, medical supplies, and other humanitarian relief. 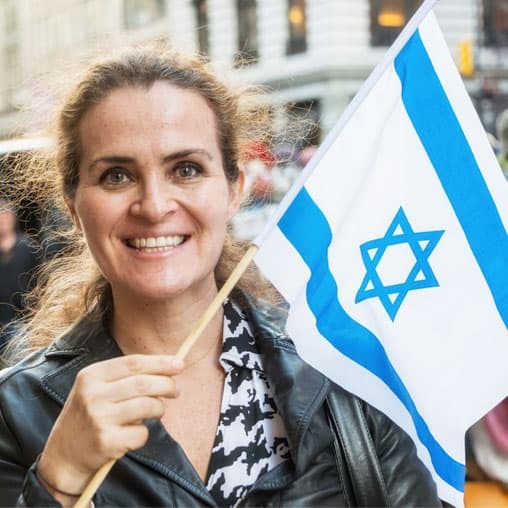 As a communications advisor, Joel has worked with a number of U.S. and Israeli leaders, including Steve Forbes, Rush Limbaugh, Natan Sharansky, and Benjamin Netanyahu. As an author, he has been interviewed on hundreds of radio and TV programs, including ABC’s Nightline, CNN Headline News, FOX News Channel, The History Channel, MSNBC, The Rush Limbaugh Show, The Sean Hannity Show, and The Glenn Beck Show. He has been profiled by the New York Times, the Washington Times, the Jerusalem Post, and World magazine. He has addressed audiences all over the world, including those in Israel, Iraq, Jordan, Egypt, Turkey, Russia, and the Philippines. He has also spoken at the White House, the Pentagon, and to members of Congress. In 2008, Joel designed and hosted the first Epicenter Conference in Jerusalem. The event drew two thousand Christians who wanted to "learn, pray, give, and go" to the Lord’s work in Israel and the Middle East. Subsequent Epicenter Conferences have been held in San Diego (2009); Manila, Philippines (2010); Philadelphia (2010); Jerusalem (2011); Albuquerque, New Mexico; (2012) and Jerusalem again in 2013. The Epicenter Conferences have allowed thousands of people from more than ninety countries to listen to speakers such as Israeli Vice Prime Minister Moshe Ya’alon; pastors from the U.S., Israel, and Iran; Lt. General (ret.) Jerry Boykin; Kay Arthur; Janet Parshall; Tony Perkins; Anne Graham Lotz; and many others. The son of a Jewish father and a Gentile mother, Joel is an evangelical Christian with a passion to make disciples of all nations and teach Bible prophecy. A graduate of Syracuse University with a BFA in filmmaking, he is married and lives with his family in Israel.